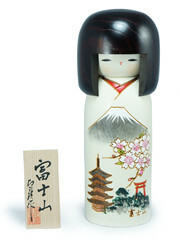 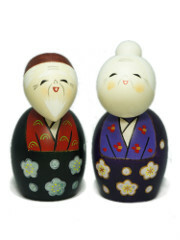 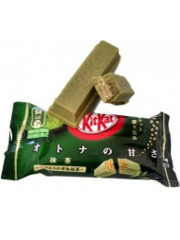 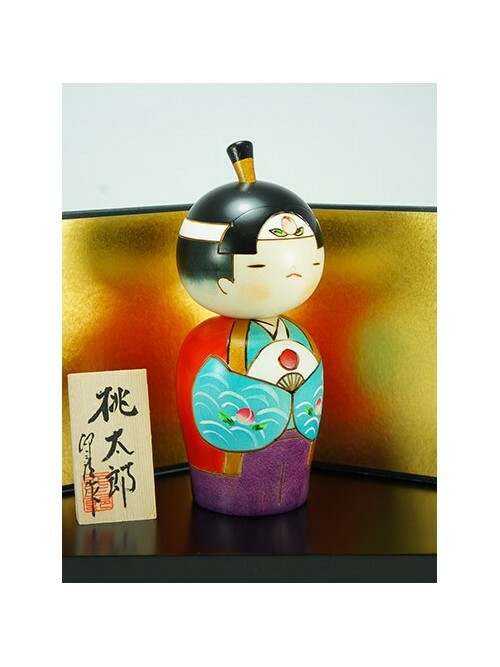 Momotarō is the protagonist of one of the most popular Japanese legends dating from the Edo period. 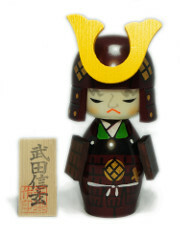 This young boy, who had superhuman strength, rescued with his companions the kingdom of the demons oppression. 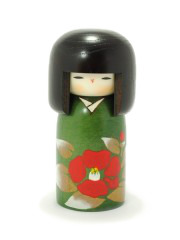 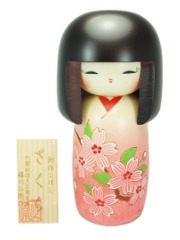 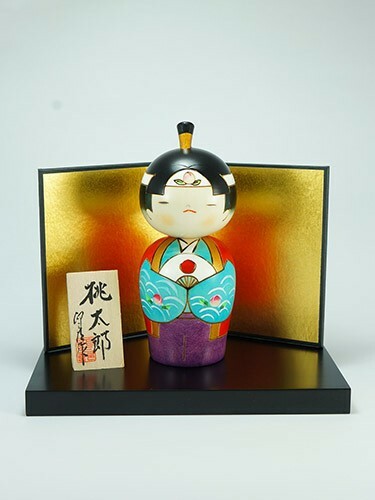 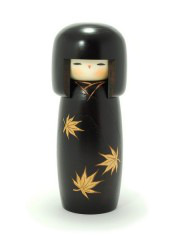 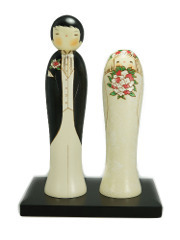 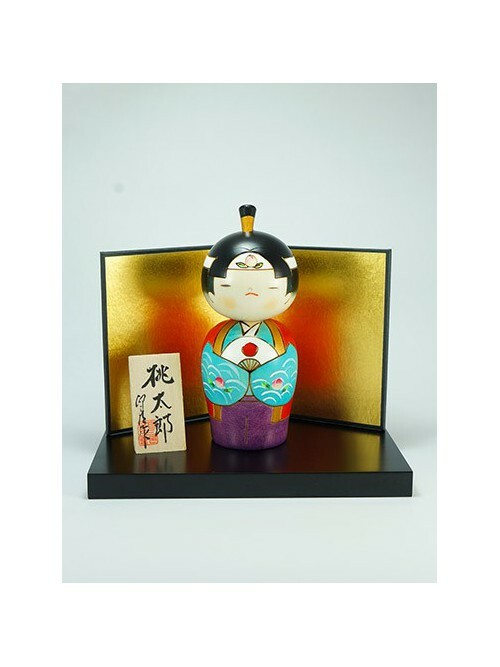 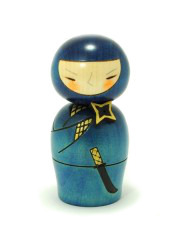 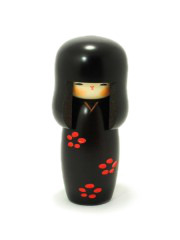 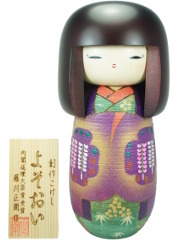 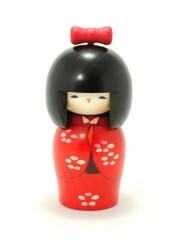 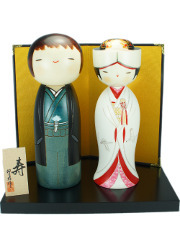 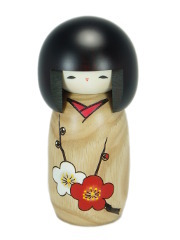 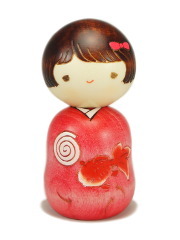 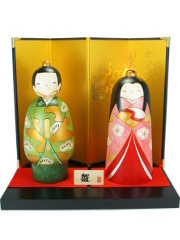 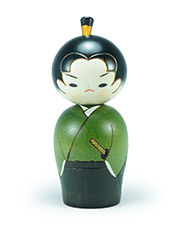 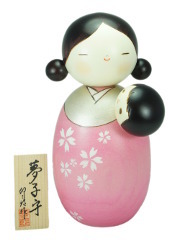 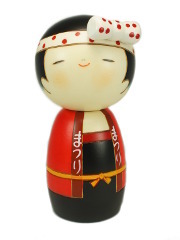 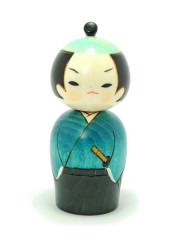 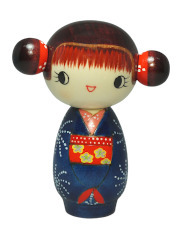 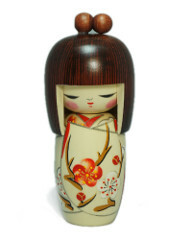 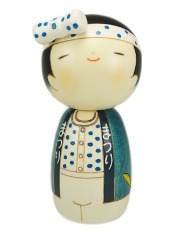 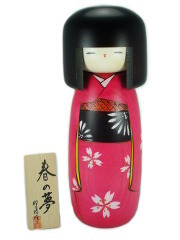 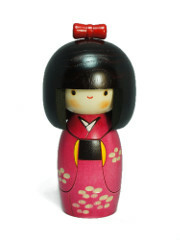 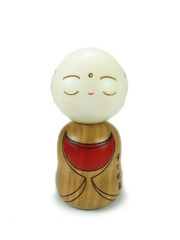 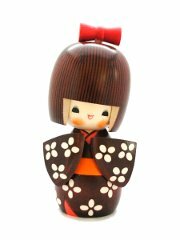 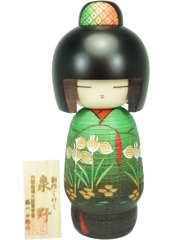 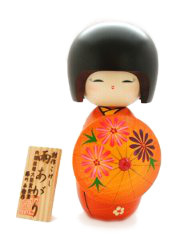 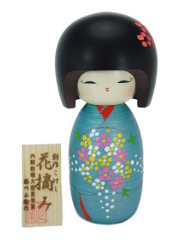 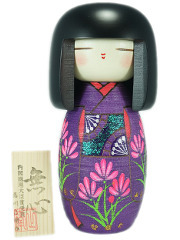 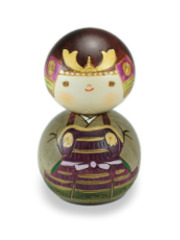 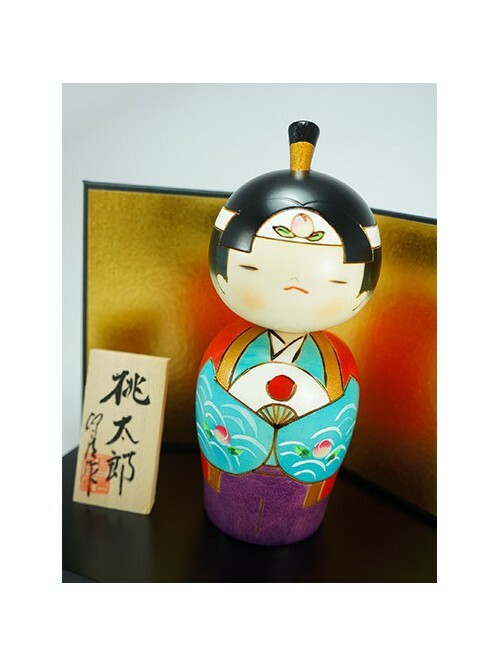 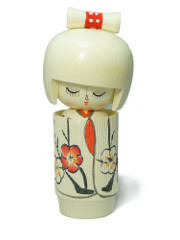 This kokeshi brightly colored intends to be the effigy of the young boy. 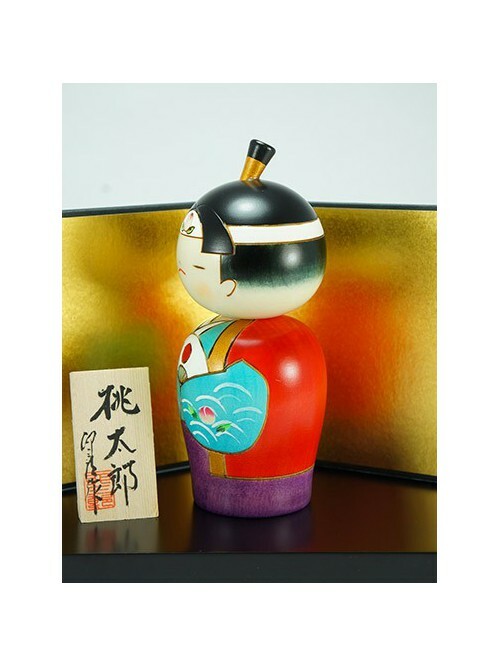 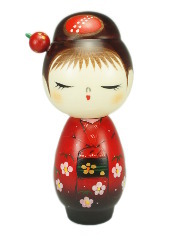 Among the fine details engraved, there are fan, in the colors of Japan, and a peach, the emblem of this legendary hero.